A fierce advocate and community leader working for sustainable change in House District 34 in Juneau. 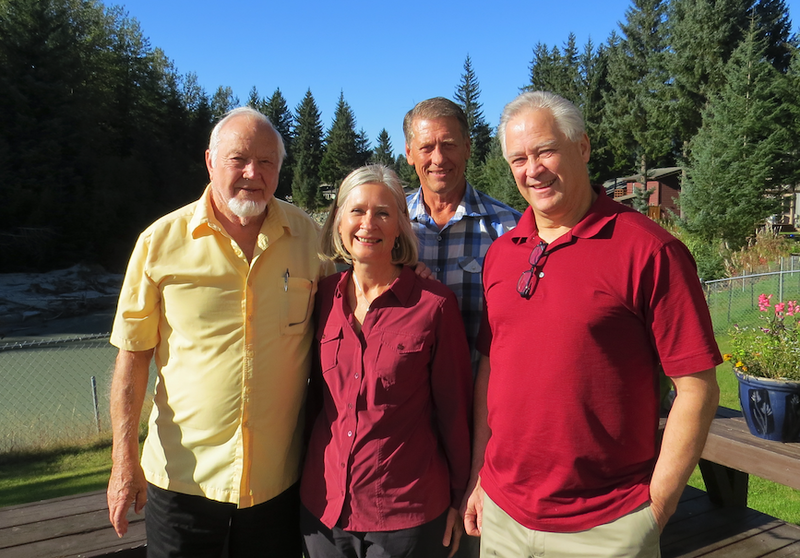 Andi Story is a five-term Juneau School Board member with deep ties to the Juneau community. She has the compassion, drive, and connections across the state to get things done in the Capitol. Andi knows it's imperative that the Legislature develop a sustainable fiscal plan. Alaska's future and our quality of life depend on it. A balanced budget is essential to a stable economy, attracting investments, creating jobs, providing public services, and assuring a dividend. Addressing the underlying issues of crime with prevention, education and increased opportunity for everyone. Re-establish a significant capital budget that invests in local infrastructure projects, putting Alaskans back to work and building or maintaining things Alaska needs: roads, bridges, harbors and more. Provide place-based culturally relevant learning, increase the graduation rate, and make sure they are adequately prepared for life after high school. Implementing training programs for high-demand fields, ensuring that Alaskans can get a good job. We are better when we work together. There are plenty of issues that require solutions, but none are beyond our ability to solve. Hearing diverse perspectives from all stakeholders, working together collaboratively regardless of political affiliation or philosophy, and engaging in honest, open dialogue will help us craft policy that improves the lives of all Alaskans. Juneau families are being hurt by the recession. Because of years of cuts, Alaskans have lost part of our dividend, Juneau has lost hundreds of jobs, and the state has lost thousands of residents. Alaska desperately needs a sustainable financial plan and I am frustrated that our leaders have not accomplished that. 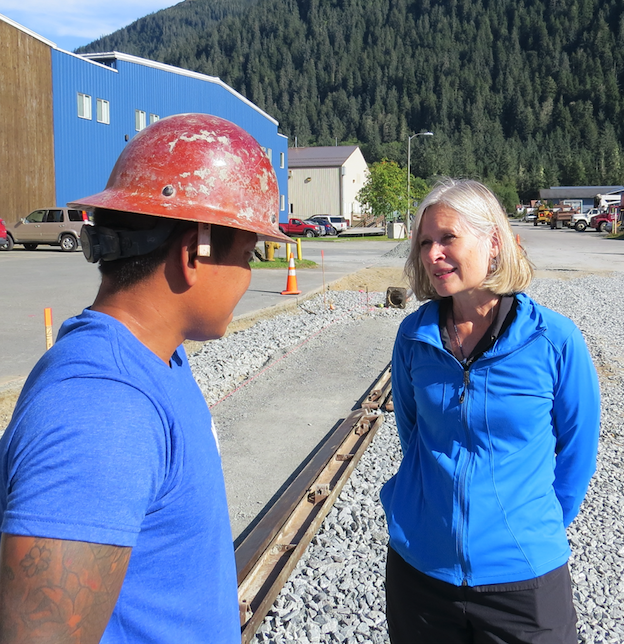 I am the most experienced candidate with the strongest knowledge of what matters to Juneau families. I have 15 years experience balancing budgets and developing relationships with leaders around the state as I’ve advocated for education. I know our community well. For 32 years, Mike and I have lived and raised our three kids here. As a former social worker and five-term School Board member, I have a deep understanding of what matters to families. I’ve listened to their concerns during hundreds of hours in phone calls, on their doorsteps, during thousands of hours of school board meetings – and more than a few hours at the grocery store. I am passionate about these issues. All voices are valuable, but not everyone has access to decision makers. Government serves best when all perspectives are taken into account. Processes, policies, programs, and practices can be exclusive and have negative, often invisible consequences. Every action we take should be evaluated in terms of actual impacts on real people. I am committed to the principle that everyone has a right to thrive. We need a transportation plan that’s affordable, reliable, and sustainable. The ferry system always will be our region’s main highway and must be strengthened, not cut further. I believe we can benefit from a road. A future road increases access choices and reduces travel and shipping costs. Every single person deserves quality, affordable health care. Right now, costs are too high for some families and too high for the state. Voluntary pooling, posting rates so that consumers can shop around, and free primary care clinics can help reduce costs. I believe that all women have a right to make their own health care decisions. Continuing Medicaid expansion is the best option for the state’s economy and the health of Alaskans. Hecla Greens Creek and the Kensington are good neighbors to Juneau and provide hundreds of well-paying jobs. I support resource development, but am opposed to the proposed Pebble Mine near Bristol Bay. It is too risky to be in the middle of a fishing reserve at the headwaters of the home of half the world’s sockeye fishery. The corpus of the Permanent Fund is protected by the Constitution and can never be touched without a vote of the people. Some of the earnings are being used to help support services to Alaskans, as was the original intent of the fund. Alaskans should receive a dividend every year, as it is each resident’s share of the state’s oil wealth. The budget should not be balanced only by cutting the PFD. We live on the land of Alaska’s original people and must always remember that. Our state government finally has acknowledged that past institutions took part in the demise of Alaska Native language and culture. Alaska Native leaders and educators are working hard to revitalize Native languages and cultures, and the Legislature can have a positive role in this. I am committed to gaining bi-partisan support for revenue measures, such as Learning Opportunity Grants, to support this important work. Juneau is graying. Our fastest growing population is over 60. Many seniors want to “age in place,” and remain in their home community their entire lives. Alaska must be affordable and offer services and infrastructure for tiered care, as well as caregiving resources to their families. Climate change, accelerated by human activity, is happening at a rapid pace unknown in history. This is having disproportionate impacts on the Arctic, with consequences that may be costly to Alaska. Diversifying to renewable energy, such as hydro, solar, and wind is having positive results in parts of Alaska. Energy efficiencies and costs to users must be taken into account as we plan energy investments. I am following the work of the state’s Climate Action Leadership Team. Every Alaskan cares about salmon. They are the lifeblood of many communities and are important to Juneau’s commercial fishing and tourism economy. When the Coastal Zone Management program expired in 2011, local people lost a voice in coastal development. Recently, the Alaska Supreme Court removed some of the more restrictive provisions of the initiative. If passed, the initiative would assume every stream has migrating fish and requires each project, including citizen homeowners, to do its own "mini environmental impact" analysis with hired experts, adding costs to each project. I think habitat management should be reviewed and upgraded but believe legislation, with an accompanying legislative process that will include public input, would be a better path for this needed effort. No matter what, I will work to protect fish habitat and make sure all the stakeholders, including scientists and those with traditional knowledge, are involved in the process of updating habitat protections. Want to get involved with the campaign? Sign up to volunteer.